← Understanding God’s Design of a Man! Man Made In the Image of God! (ver 1.2) This is now Part 7 of a series of lessons on the concepts and laws surrounding seeds found in the Bible. The Seed is a naturally divinely inspired designed principle that demonstrates vast spiritual revelation and today will be another example of that. In a previous lesson I taught on a parable that Jesus spoke on concerning the seed concept that if a seed ever produces fruit, it must first die and be planted (buried) in the ground (John 12:24). We looked at Jesus being this seed, but of course He was also a man like you and I in the world. The Spirit of God raised the man, Jesus Christ from the dead and He became the first man ever to be resurrected from the dead. We know that the man Jesus Christ was crucified on a cross in Jerusalem. We know that He hung there and died. We know the Roman soldier pierced His side and His blood and water from His body flowed from His side onto the ground. We then know His body was taken down and placed in a tomb. We can now begin to understand the seed concepts being presented. The body of Jesus was a seed. This seed died and was buried in a earthly tomb. But, after 3 days we know that God raised this man Jesus back to life in His own physical body. So far I’m just stating things that you should already know, especially if you have been reading this series. If you have not read this series from the beginning I would strongly suggest that you go back and start reading with “Part 1”. Let us today start by discussing some basic seed concepts using a natural seed. Did you know that a seed contains 3 main parts? How many main parts does a man have? A man also has 3 man parts; man is a 1). spirit that has a 2). soul, who lives in a 3). body. So man has 3 main parts. I believe the parallels to natural things and spiritual things are quite amazing. God is also described as a 3 part spiritual being. God the Father, God the Word and God the Holy Ghost are the three parts that comprise the One True God. So what are the 3 main parts of a natural seed? They are the 1). Seed Coat, the 2). Endosperm and the 3). Embryo. These are the 3 major components of a natural seed. Let’s compare the makeup of a man to the makeup of a seed. The outer portion that we can see would be the “human body” and this would correspond to the “seed coat” which is the outer shell membrane. Then man’s next layer going from least important to most important would be his soul. The soul of the man is his “mind” and this component corresponds to the seed “Endosperm”. The final most important part of a man is his spirit. The “spirit of man” corresponds to the most important part of a seed, the “Embryo”. God can be very tricky to understand. As you might have seen God calls the children of humans their “Seed”. So God describes the human makeup of a man to be designed after a seed. As you can see from the natural description of a seed this information corresponds very closely. However, in another parable Jesus spoke of a man being the “Ground” that the seed is planted into. However, this time the seed is the Word of God. Jesus taught in the Parable of the Sower that man could be 6 different types of ground or natural earth. This is the part that makes many people scratch their heads and say “how can we be both”, yet God clearly calls us both of these. I believe it depends upon your perspective and the application that you are attempting to use it in. Clearly there are different types of seeds and this is part of the difficulty of interpretation, being forced to determine the context and the correct type of everything being discussed by God. No body that I know of says Bible interpretation is easy, if you think it is you have been deceived. So I have gone through a long introduction, introducing some new things along with a review of some basic seed concepts that we should have all previously learned. Today I want to show you something new in the Bible that applies to God’s design of us being a type of seed. The subject of the resurrection is of course a potentially controversial subject, since not to many people know much about it. Some believe in it and some do not. It is no different today than when Jesus walked the face of the earth. You may remember in Matthew 22:23 that a group of people came to Jesus to ask Him a question. These people were members of the Sadducees, who did not believe in the resurrection of the dead. So it is really no different today, we still have people who do not subscribe to what the Bible teaches. So let’s discuss resurrection and what it is briefly. The “Resurrection of the Dead” is a basic foundational truth taught in the Bible (Heb 6:2). The Greek word in the Strong’s dictionary means to “raise up”, to “stand up again” or “to raise to life again”. These are those which were once alive who are stated to have died and behold are alive again. That is the concept of resurrection being described to us and this is a seed concept being clearly demonstrated. 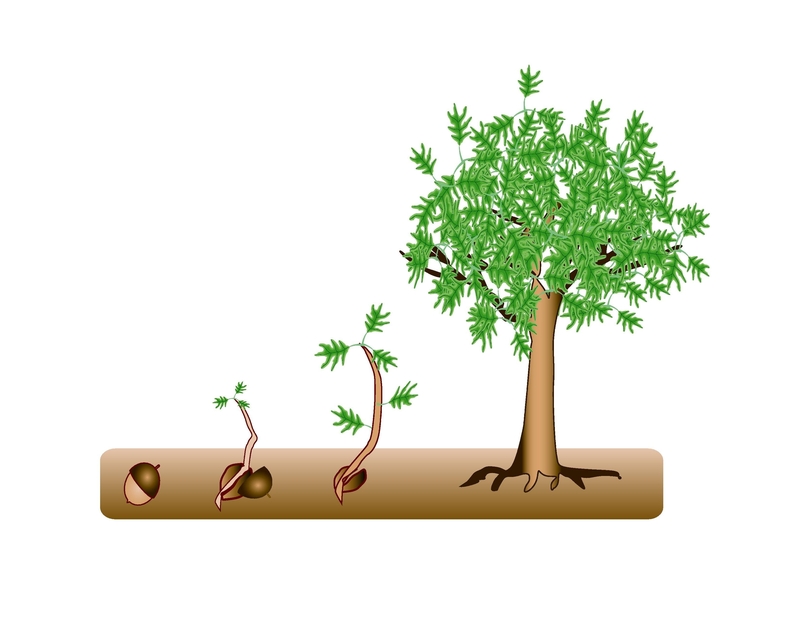 A seed lives, a seed dies and is raised again to a new life after being planted. So if a man is a seed and his makeup or design resembles a natural seed we should be able to see how God plans to use this concept in the resurrection of our physical bodies. In this verse Paul is writing to the church at Corinth and answering some basic theological questions. There must have been some raging debate on the subject to cause God to respond in this manner. Of course it also helps us to learn what was being taught since we were not present when Paul taught it to them personally. Two questions are presented to God. First, how are the dead “raised up” and second what kind of body will they have? I think these are two very good questions and we will see if God answers these questions. Backing up in the chapter we see some contextual verses that are also in reference to the seed resurrection principle. Adam caused all men to die because we were all “in” Adam when he sinned. Christ will cause all men to live again because we that are born again were in Christ when He was raised from the dead. This is not a universal salvation, meaning that everyone will go to heaven however. You see there are people trying to deceive others using these types of teachings where they only use the parts of the Bible that they like and then reject the parts that they do not like or that don’t fit what they desire to believe. Here is a verse that Jesus gave us on this subject of resurrection. To “come forth” is a Seed concept. You dig a hole in the soil, sow a seed in the ground, cover it with dirt and in the process of time it “comes forth” out of the ground. Then Jesus tells us that some who have done good things will be resurrected into life and these are the good seeds that God planted. However, then there is the bad news for the bad seeds, those that have done evil will be resurrected to damnation. Wow, not very good news for some people. Everyone is prophesied to be resurrected from the dead and come forth but there are two types of seeds being described and they are very different, even completely opposite. We learned this concept when Jesus taught us the parable about the man who sowed good seed (Mat 13). The enemy came and sowed tares among the seeds of wheat and they both came to bear fruit simultaneously. What we discover is that the resurrection for the dead is a reality that everyone will face in the future; it is really dependent upon what type of seed you are in to where they end up. Some will be very happy and some will be extremely sad. Here is a verse that I thought I would include simply because this is a common attitude found in the present evil world that we live in. People are massively consumed with self-indulgence and have a self-centered attitude towards life. If you have something and I want it I’ll just take it. After all there are no consequences to life, we are just the same as every other animal on the planet, they think and have been taught. If we evolved from monkeys and monkeys die that is the end of them so it is with us. There is no God, no Judge, no hell, no way are we going to bear any responsibility for our actions so live it up and be all that you can be for tomorrow you may die. People are so focused on themselves they do not know what they are doing to others. That is really going to be the hardest lesson to learn when it comes to judgment day. So let’s get back to finding the answers to the two questions being asked by the skeptics. How is it possible that this resurrection will occur and what will I look like after it does occur? God almost gives us a contradiction of terms. One of the seed principles from Genesis is every seed produces after its own kind. An orange seed will produce only an orange tree. But, now we see another extension to the puzzle. You plant a seed and you get a tree and not just another set of seeds. In other words you do not plant a tree and get a tree. Or you do not plant a seed and just get more seeds. No the basic law is that you plant a seed and you will get a new living plant. God is saying in this verse in 1 Corinthians that the physical body that you have right now is nothing but a bare grain of seed. What God is alluding to is that your physical body you have now is not the spiritual body that you will have after the resurrection. I skipped down to verse 42 because it seemed relevant to our seed discussion. God says He will take the corruptible natural part of us and sow it to produce the new incorruptible part us during the resurrection. That is pretty cool stuff, if you ask me. What was dishonorable and weak will become glorious and powerful. God is giving you a clue comparison of the difference between the old and the new. That which will become a new is highly better than that which was sown. This is a result of being born again of the incorruptible seed of God and not the corruptible natural seed of man. Our natural bodies will planted as a seed that will produce the spiritual resurrected bodies. God clearly declares that our future spiritual bodies are not the exact same as our current physical bodies. The new spiritual body will not get sick, or grow old, will not fail, or even grow tired. There are just too many new features to describe this new body. The new body will certainly have many of the same features of the old body and still be able to do many of the things that old body could do. The best of the old will continue to be present in the new. Jesus after being resurrected from the dead would still eat natural food with his disciples. So eating is a future good thing to look forward to and all the church people said amen! So I think I have gone long enough on the subject of the “Seed of Resurrection”. I hope and pray that you enjoyed the lesson and derived some benefit from reading it. God continue to bless you until the next time. If you like to continue reading this series you can go to “Part 8“. Posted on August 13, 2010, in Bible Study, Seeds, Understanding and tagged Bible, Christianity, Church, creation, Genesis, God, Holy Spirit, Jesus, Prophecy, Religion, Revelation, seeds, Truth, understanding. Bookmark the permalink. 1 Comment. Do you have any thought regarding the seed of the word of God as it would correlate with the three basic elements of a seed. The seed coat, nutrients for the embryo and the embryo. Do you think that the only natural part of the seed is the words that is written. I hope I make sense but I am working on a phenomenon I located in the word.